OMG. I am in love. 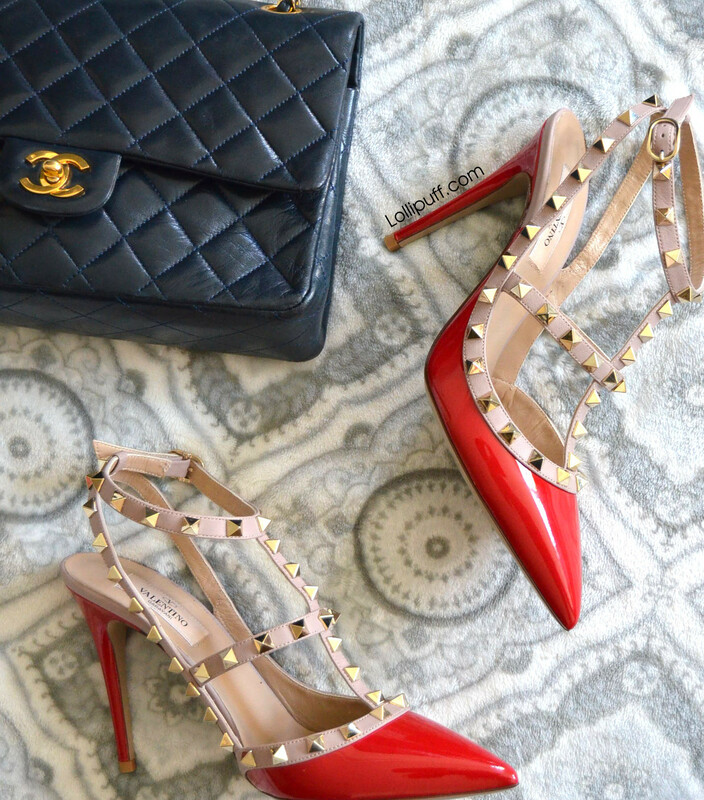 The Valentino rockstud slingback pumps are to die for! Here's a review of my favorite shoes that includes sizing, comfort, and style. I find Valentino shoes to run small, and Valentino sizing is fairly consistent. For Valentino, I am usually a size EU 38. For reference, in most US pumps and boots, I wear US 7. In US sandals, I usually wear 7.5. 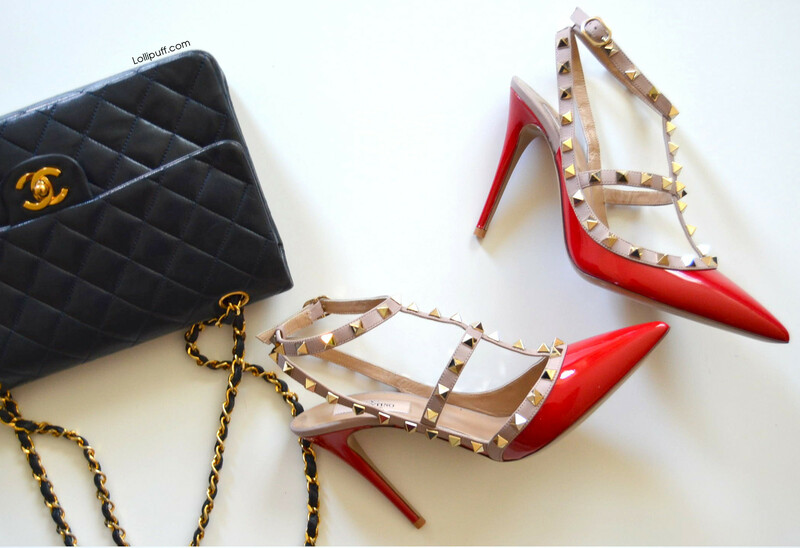 In Christian Louboutin, I most commonly wear EU 37.5. For Valentino rockstud sandals, sizing is more flexible, because the shoes are slingback and caged. I can wear 38 or 38.5 in the rockstud caged sandals. The shoes in the picture are size 38. For reference, I have medium-width feet with very small ankles. Very frequently, I have issues with sandals gaping around the ankles, but Valentino rockstuds do not have this issue with small ankles. There are quite a few holes to accompany different-sized ankles. Valentino rockstud pumps are very comfortable. 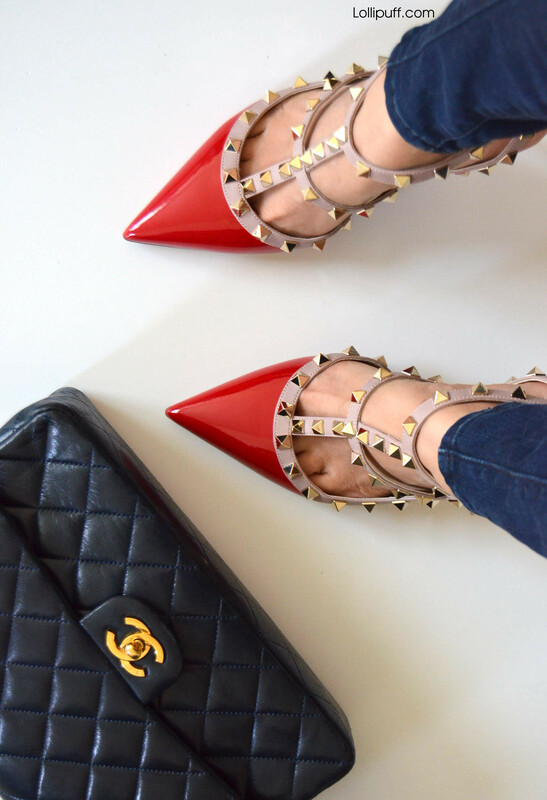 My 4 inch rockstuds are superbly balanced to alleviate as much stress as possible on a high heel. The balance is especially impressive considering how dainty and thin the heel is. And the front never pinches my toes in spite of being pointed. This is everything that I love in a designer shoe: beauty without the sacrifice of comfort. I think the pictures speak for themselves. This shoe is stunning. Loved by celebrities, bloggers, and fashionistas around the world, the Valentino rockstud sandal has become one of the most worn shoe designs! And, it's no surprise that many women must have them in many many different color combinations (beige, classic black and beige, bright colors, strassed) and heel heights (flats, kitten, high). These shoes look good with just about everything. Some of my favorites include a casual outfit with skinny jeans, or adding a statement to a classic dress. Here are pictures of Valentino rockstuds being worn by celebrities. Valentino shoes are pricey. And, due to their popularity, there are a lot of dupes out there. Honestly, there hasn't been a copycat that I've encountered that even comes close to the original. Everything about the Valentino rockstud shoe is done superbly and all the careful details culminate into shoe perfection! Since the design is embellished, a lot of dupes just end up looking overly-cheap. And, even some of the best (reviewed here) have gaping issues. Dupes also tend to have a less-attractive longer toe-box, the studs are less refined, and the heel and vamp are less elegant and thin. This all results in an inferior look. There really isn't quite anything like the original! For dupe examples, see here, here, and here. Hope you found this review helpful and enjoyed the pictures of this stunning shoe! There's a lot of lovely ladies in this community who adore these shoes too, and my sizing experience may differ from theirs. Don't be a stranger if you have any questions.